Kitty is a writer based in Canada, who runs the site Girly-Girl’s Ileostomy Blog – a no-nonsense explanation of life with an Ileostomy, as told by a foul-mouthed individual with no shame. Last year I received several questions from viewers wondering if it’s safe to wear a corset if one has an ileostomy. Having no personal experience, I asked around. One helpful follower then introduced me to Kitty’s blog, and to my surprise I also found that there were a few different corsetieres who specialize in making corsets for ileostomates. I love Kitty’s candor, and found it fascinating that she is not only able to wear corsets with her ostomy, but also that her corset is used for stabilizing her hepaptosis (floating liver) and scoliosis. Her posts on corsetry can be found here and here. I asked if she would be willing to share a bit more of her personal experience on my blog, and she graciously agreed. When did you take an interest in corsets? Was it merely aesthetic, or was there something else to it as well? Kitty: I first became interested in corsets as a young girl. They resembled my TLSO backbrace I wore for ten years to stop my spine from curving any more with scoliosis, except they were beautiful–a celebration of the female shape instead of the hard plastic ugly shape I had been fitted for at the Children’s Hospital. Are your doctors okay with you wearing a corset? Did any of them have objections due to negative myths? Kitty: One of the doctors I had in British Columbia actually signed papers saying I needed a corset for my back, but stupid me, I never got around to fighting that out with the insurance company. You had experience with back bracing when you were younger – many of my viewers/ readers have scoliosis, and some have said that they worry that wearing a corset might trigger unpleasant memories of being braced. In your experience, how does a corset differ from the back brace (comfort-wise, aesthetically or otherwise)? Kitty: Ah, silly me, I already answered about the back-brace. It was a very unpleasant time being braced and physically and emotionally bullied by both teachers and my peers, but it really has no bearing on me now. I have gotten the perspective of years behind me, and to take that thick plastic foot-ball players’ uniform compared to my delicate corset–well, there really is no comparison. How did you go about finding a corsetiere who was comfortable making the proper accommodations for your medical needs (e.g. asymmetric construction for scoliosis, access to your ileostomy, ensuring that your organs were properly positioned with the right silhouette and reduction)? Kitty: I was fortunate enough to live near the same corsetiere as Dita Von Teese goes to–it is called Lace Embrace in Vancouver, British Columbia, and I found it quite by accident while searching for such on the internet. How is your corset made differently to standard corsets? Are you able to access and change your ostomy bag easily? Does the corset prevent your bag from filling properly and create discomfort or bloating? Kitty in her custom peach underbust Corset from Lace Embrace Atelier, which offers back support, lifts the stomach and liver, and features a concealed flap to access her bag. Kitty: My corset has a side panel that flows smoothly over my ileostomy bag, that I can simply unhook whenever I need to dump my bag. The bones were also removed from that section, though you couldn’t tell if you looked at it, which was the point. I have suffered no ill-effects of my corset, I have even slept in my corset. I just have my normal bag on, and fit the corset over it easily, tie it up, and I am ready to go. You mentioned in your blog that you have issues with your ligaments, and the corset helps keep your liver from dropping. How does that condition affect your daily quality of life (is it painful or nauseating), and how does the corset help? Kitty: With the corset, it lifts up both my stomach and liver which otherwise float a bit inside of my abdominal cavity. One of the concerns I’ve heard regarding stomas is the risk of hernias. Was the extra pressure from a corset a concern for you in this situation – or do you think that the specific application of pressure on your abdomen by the corset would help to prevent such a hernia from occurring? Kitty: Because I tie it correctly, my organs are not being pushed down to the bottom of the corset, but lifted, and I have never felt like my stomach was bulging or that I might be getting a hernia. The corset lifts pressure from that area and transfers it up to my rib-cage. Were there any drawbacks you found to wearing a corset? Kitty: The only drawback is you will need someone to help you tie it up until you get a hang of it yourself! I still have yet to do it alone! Were there any other unexpected benefits that you discovered from wearing the corset – either physically or emotionally? What advice can you give to others who have an ostomy and are looking into corsets (either for fashion or for therapeutic purposes)? Kitty: For ileostomates: dont be afraid to try on or wear corsets. if you buy one already made, have the seller make a snap-panel over your bag area so you can let that bugger breathe and do what it does best. Eat as you normally would, but more grazing during the day and avoiding dumping one big meal all at once into your stomach. I chose a corset in a pale peach so it would go under all of my clothing, but that is a personal choice–it’s up to you! Huge thanks to Kitty for sharing her experience with us! If you’d like to read more about Kitty’s custom corset from Lace Embrace, here’s her post on her fitting appointment, and here’s her post on her finished corset. I just found this blog .. and it truly made me smile. For many years corsets were like an addiction to me .. 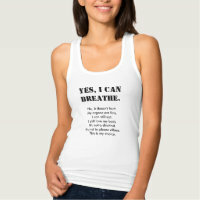 I would wear one almost every day. I had them in many shapes, colors and styles. Every time I put one on I just felt so great about myself, and they felt so comfortable on!! This year I had surgery and ended up with an ileostomy, and instantly assumed my days of corset wearing were done. Reading this, as I said, truly makes me smile. Just found this. I wish I had found it last year. I have a colostomy and I had a corset custom made. I had them take out the boning around the area I have my bag. It helps reduce pressure around the stoma and flange, but I can’t change the bag without taking it off. If I ever get another made, I’ll have to see if they can do this. Hi Venesa, I was astonished that I didn’t come across Kitty’s website earlier too! Yes, there are several corsetieres now who offer corsets for those with stomas, including Lace Embrace (Canada) and Crikey Aphrodite (Scotland). Where can I purchase a customized corcet for my ostomy? 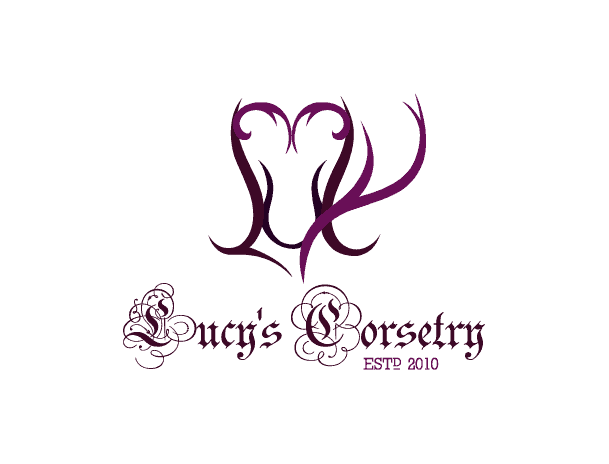 Hi Carla, this particular custom corset was from Lace Embrace, so possibly check with them. :) I also know that Crikey Aphrodite in Scotland has made corsets for ostomates in the past. Just found your blog… Love it. Hi Donna, it’s theoretically possible to wear a normal OTR corset with an ostomy (if your doctor says it’s okay) but a standard corset will not give you the access to your bag the way that a specially designed piece is. I would say it’s important to make sure that the pressure from the corset is localized away from your stoma itself and not right on top of it. Also if you have pre-existing damage to internal organs, scarring etc., I would suggest going the custom route just to make sure that there’s less risk of obstruction. Basically it’s best to play it safe.